NASSAU, BAHAMAS; March 25, 2018 – North America’s bitter winter is sending residents hard-hit by one storm after another packing, heading for the sun and driving up numbers in visitor arrivals with the Nassau Airport Development Company (NAD) predicting the busiest Easter weekend on record, officials said yesterday. In addition to NAD’s preparations to meet increased demand, airlines are adding seats. Air Canada and West Jet, both of which serve Canada and account for the bulk of increases in the non-U.S. international arrivals, have altered flight schedules and are flying at nearly 90% capacity. On Saturday, March 24, LPIA handled 1,014 aircraft movements, nearly double the 600 or so movements on a typical day. One of the strongest segments was private FBOs, including Jet Aviation and Odyssey Aviation. 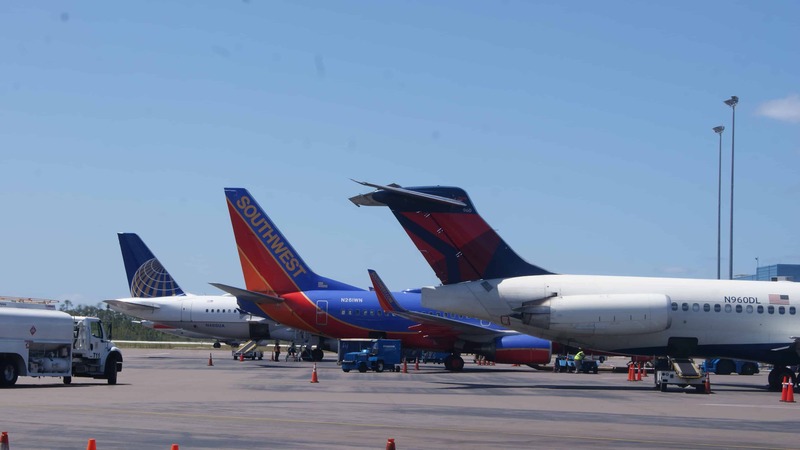 Last year, the busiest travel day of the Easter holiday was the Saturday before Easter with some 23,370 U.S.-bound passengers flying over the 5-day period Thursday through Monday. The prediction of a record Easter weekend came just days after NAD reported the best December and January in its 11-year history and said bookings looked strong for the coming months. Along with a brutal winter driving weather-weary sufferers south, a stronger U.S. dollar, increases in tourism marketing and the opening of Baha Mar are credited with boosting interest in The Bahamas. In one recent survey of visitors to Exuma, more than 50% said the swimming pigs led them to the destination. And Expedia released figures today showing that The Bahamas was among the top three destinations for regional travel. Walkine also had tips for those picking up passengers. “Be aware of parking options, know the rules and conveniences around dropping off and collecting persons from the airport. We encourage persons picking up from the airport to park in the short term parking lot and we have made this affordable at $2 for a half hour,” she said. This is far more economical and convenient than burning fuel to circle the airport while waiting for your guest or worse, parking in prohibited areas and being towed. When 151,454 passengers landed at LPIA in December and another 140,314 in January, the numbers represented the highest figures since the pre-recession holidays of 2007/2008. December’s increase was the highest in a single month, up nearly 15,000 over the second best year a decade earlier. Preliminary results for March with Easter falling the 1st of April are even more impressive – up by 24% over 2017 arrivals to date and greater records expected in the next week. More than 3.3 million passengers pass through LPIA every year with the airport serving 55 destinations via 24 airlines.